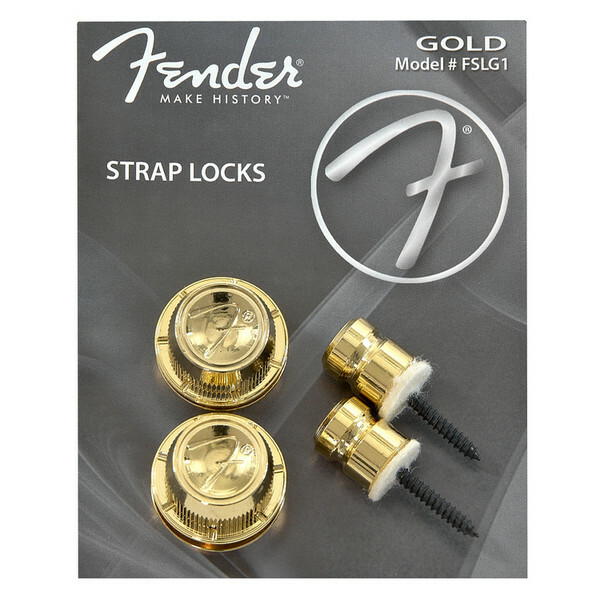 Fender "F" Strap Locks are designed for simple, no hassle performance and reliability. Design Features include: A secure and simple release action system which holds up to 100 pounds (over 45 Kilos!). Simple, removable fastening cap allows you to change straps effortlessly. Fender are one of the most internationally renowned Guitar makers out there, so when it comes to choosing the right accessories the contemporary guitarist knows that the name Fender means quality and reliability you can trust.